Not everyone has a huge backyard. 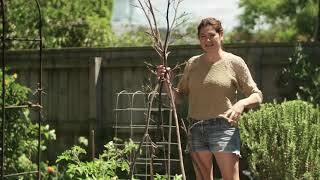 Green thumb Nicola shows us how to make the most of our garden space by growing upwards. A good start is by making a harakeke teepee.